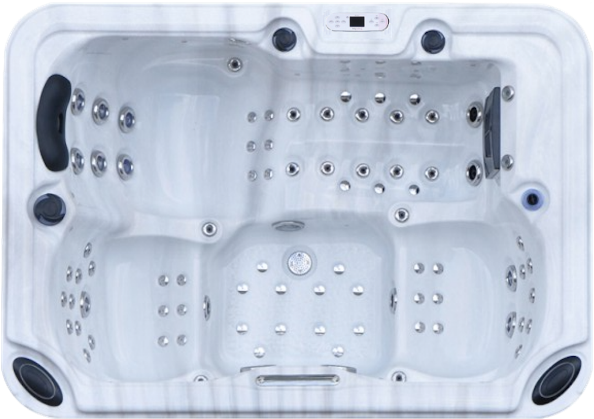 Cozy and practical, the Hurricane V-081 has a full body lounge + 2 therapy seats that will allow you to enjoy a maximum of therapeutic massages in a limited space. Its eighty-one therapy jets will offer a soft touch on the skin and total body relaxation as you enjoy a moment of bliss. Ideal for the small spaces, indoors or outdoors.